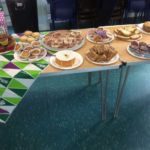 Thank you to everyone for taking part in our Macmillan event! 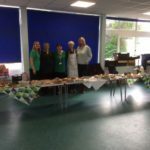 The staff and children all came into school wearing something green for Macmillan and everyone donated money. 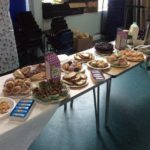 Our coffee afternoon was a huge success and we were delighted to raise a fantastic amount of £710.17! We would also like to say thank you to Patisserie Valerie who donated two cakes for our raffle, and to Sainsburys Local who also donated a large selection of cakes.